One of the most haunted cities in America, Savannah is a Southern belle with a troubled past, a city where the cobblestones cover entire cemeteries and the historic homes are not all they seem. Here are some of Savannah’s most haunted – and most loved – supernatural sites, and the stories that surround them. Completed in 1892 for the William Kehoe marriage and their ten children, the Kehoe House has lived a long life as a family home, a boarding house and a funeral parlor. Nowadays it remains beautiful as ever as an upscale bed and breakfast on the beautiful Columbia Square, haunted by the legend of the Kehoe twins, who died playing in a fireplace. Rumor has it that it’s the reason all fireplaces in the inn are adorned with cherubs, to remember the twins. Guests often hear children laughing and playing in the empty hallways. Others have reported that in rooms 201 and 203 someone has sat on their bed, leaving indentations and warmth. 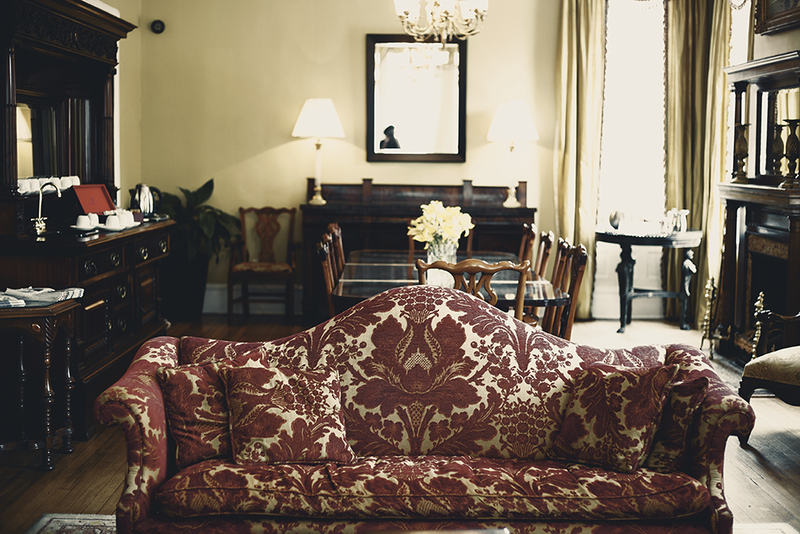 Such hauntings, however, are sparser than they are in other supernatural sites around Savannah, but guests love to visit the Kehoe House for the helpful staff, it’s beautiful interiors and prime location. From the time it opened in 1753, the Pirates’ House has been boarding and feeding countless sailors, merchants and, of course, pirates passing through Savannah. 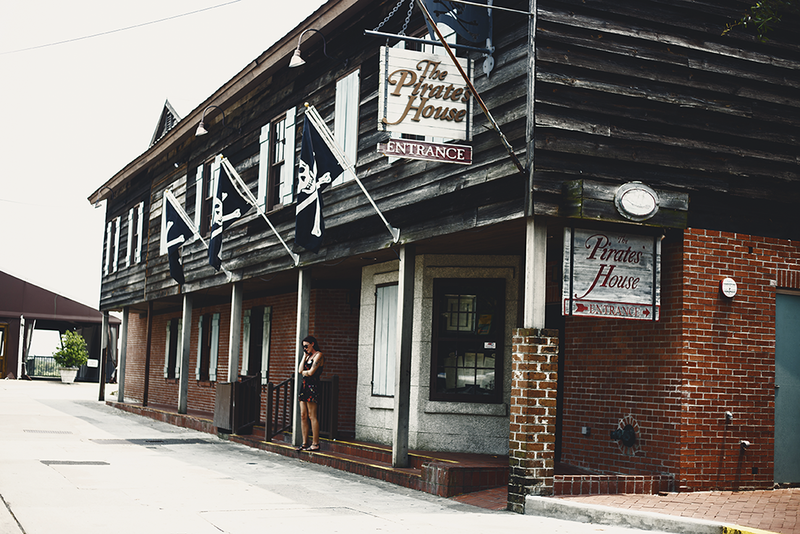 The folks at the Pirates’ House have moved on to landlubbers since then, serving up some of the best Southern cuisine in town to locals and tourists alike. Rumors of various hauntings surround the Pirates’ House. Staff tells stories of a storage space upstairs with a spirited dweller whose footsteps can be heard from the dining room below. 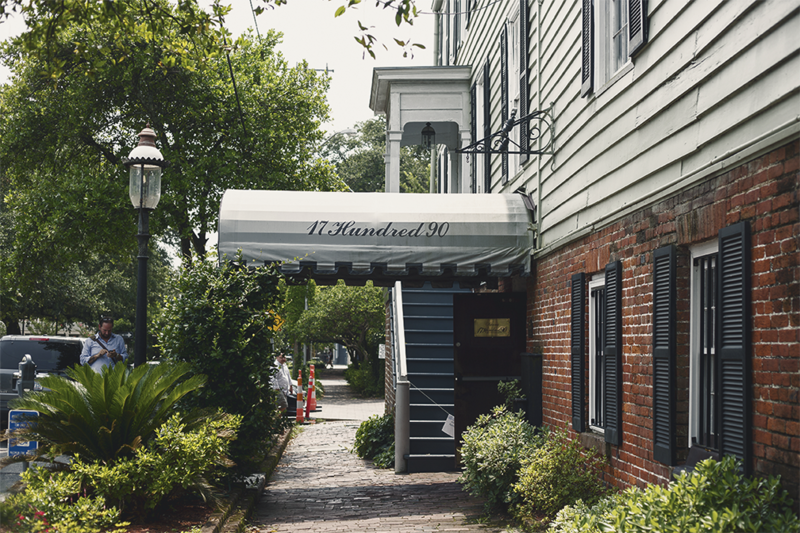 This historic inn and restaurant in the heart of Downtown Savannah has been in service for over a hundred years and, unsurprisingly, 17Hundred90 Inn & Restaurant has amassed a collection of spooky stories unlike any other establishment in the city. In fact, the inn has gone so far as to publish patrons’ haunting experiences on their website. Built in 1820, 17Hundred90 was surrounded by tragedy from its beginning. Most of Savannah had been ravaged by a series of fires and the yellow fever epidemic was at its peak. The most famous story, however, is Anne Powell’s, a young woman who was seduced by a sailor and leapt from Room 204 to her death. She is said to take trinkets from guests, spread women’s nightwear on the bed, as if someone was about to wear it and, rarely, she is said to caress men’s cheek and look over them while they sleep. Anne’s story is so popular that excited visitors request Room 204 months in advance in hopes of running into her. 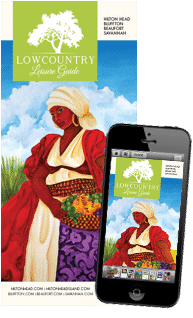 Other tales surround the 17Hundred90 Inn & Restaurant, such as the African American cook who plays tricks on the women in the staff and the merchant marine who helps staff in their day-to-day activities and has been seen listening to music or strolling about the garden room. 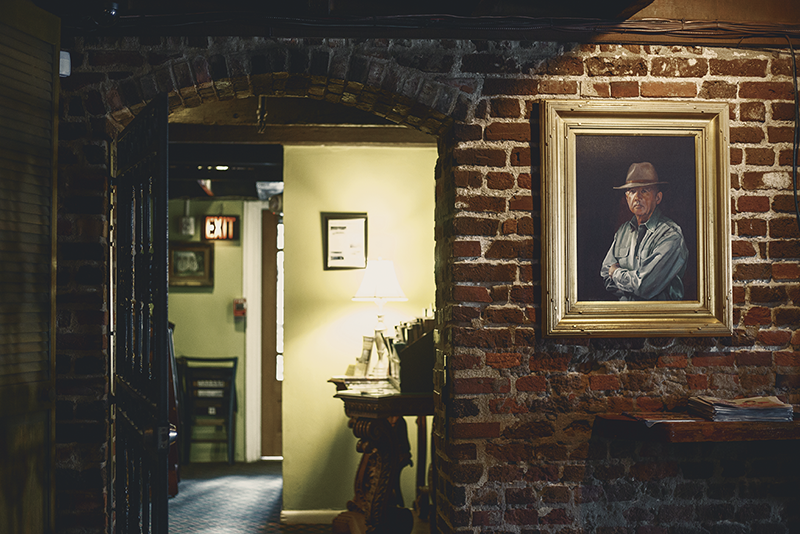 The Olde Pink House is a Savannah culinary institution, specializing in Southern classics and a wonderful staff. Built for General James Habersham Jr. in the late 1700s, this beautiful mansion has had a long, bustling life on the historic Reynolds Square. The tale goes that, distraught after his wife’s passing, James Habersham Jr. died in the basement of the house, where the enchanting piano bar, Planter’s Tavern, was later built. Aside from that, the house lived through yellow fever outbreaks and dangerous fires, which have left some restless spirits in their wakes. 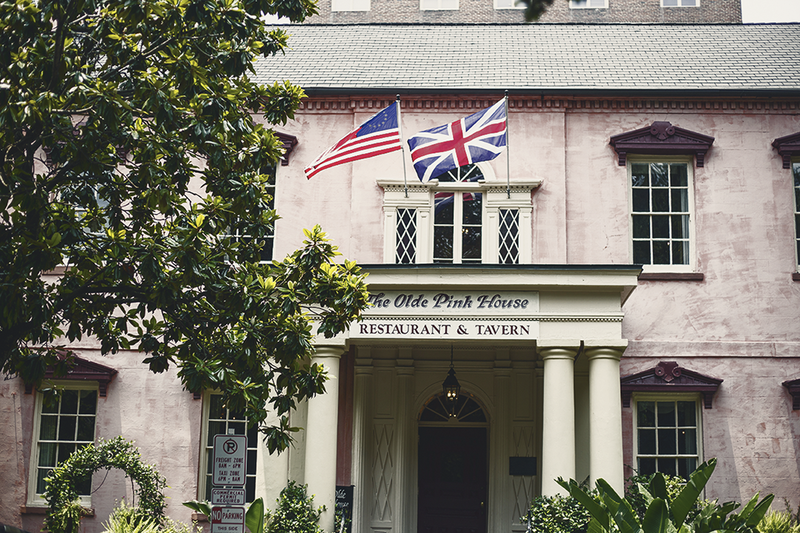 Nowadays, the Olde Pink House functions as one of Savannah’s go-to restaurants and bars. It would seem that the ghost of James Habersham Jr. wonders about the dimly lit rooms, tidying up his home and helping restaurant staff. Children have also been heard playing tricks – they’re famous in town for locking the women’s bathroom stalls in the basement. Located on East Julian Street just off of Washington Square, the Hampton Lillibridge House is the only actual residence listed here. 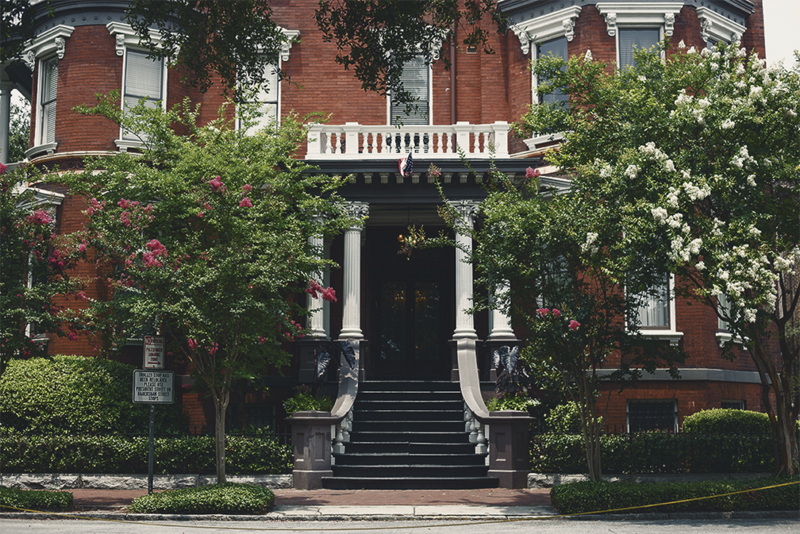 It’s also the only house in Savannah to have undergone an exorcism, which ultimately failed to cleanse the house of spirits. Built in the New England style in the late 1700s, the Hampton Lillibridge House is one of the few 18th century clapboard houses to have survived the fire of 1820. After the original owner’s death, the building was home to several owners and at one time it was converted to a boarding house. One of Savannah’s great architectural restorers, Jim Williams (of Midnight in the Garden of Good and Evil fame), bought the house and did, in fact, aid in the houses restoration and preservation. Most stories surrounding the Hampton Lillibridge House come from this era: Williams, his friends and the workers hired to do the grunt work would hear voices and the sound of footsteps when the house was empty. Later, neighbors would report hearing a woman’s screams and a man in a suit staring out the upstairs window. 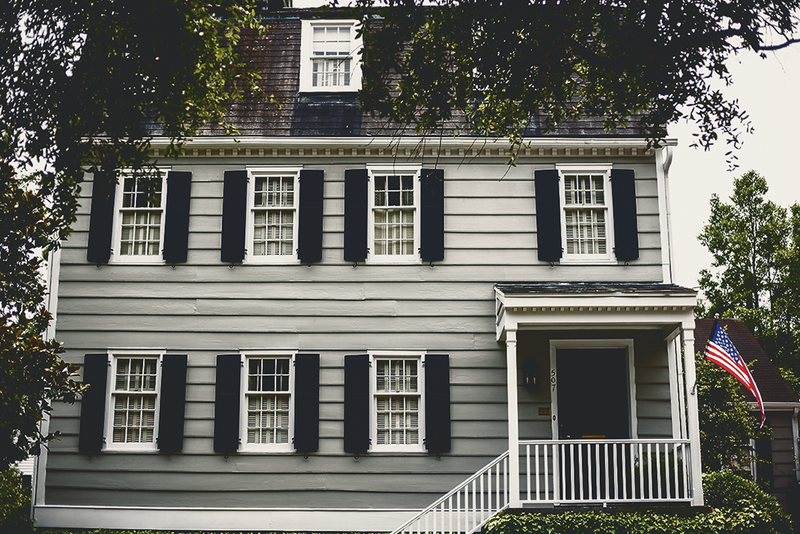 In ’63 an exorcism was performed, but it was still impossible for Williams to keep a maid in the unattended house. Today, the Hampton Lillibridge House remains a residence, so any paranormal sightings must be seen from the beautiful cobblestoned road outside. 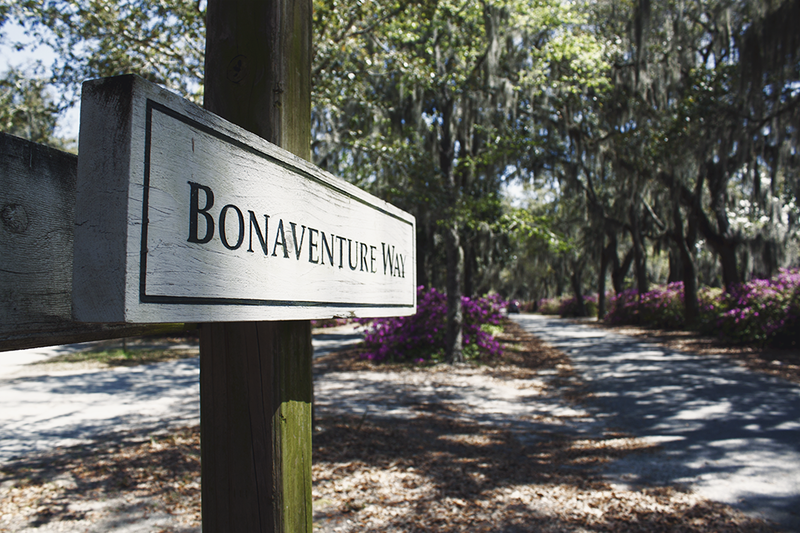 It’s no shock that we would mention Bonaventure Cemetery, an enchanting, 160-acre historical cemetery. Although not Savannah’s oldest, Bonaventure remains the largest public cemetery and the most famous. The Victorian-inspired memorials and mausoleums lie under curtains of Spanish moss that hands from old growth oaks, creating a true city of the dead. 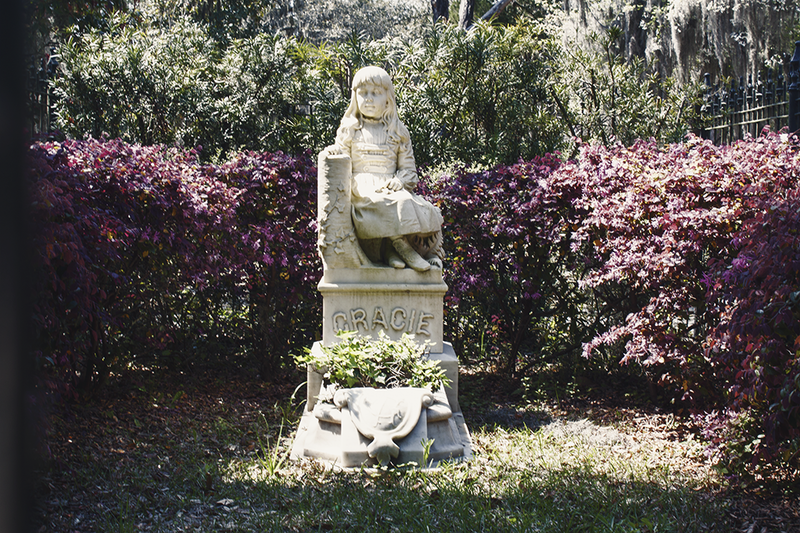 Bonaventure Cemetery is the final resting place of well-known names, such as lyricist Johnny Mercer and Georgia Governor Edward Telfair but, on occasion, you’ll hear tales of some souls that remain restless. One of the most touching stories is that of Little Gracie Watson, buried in 1889 when she was six years old. Gracie’s parents W.J. and Frances Watson managed the Pulaski Hotel on Johnson Square, where the little girl became the apple of everyone’s eye. She would greet guests upon arrival, entertain them with songs and play outside in Johnson Square. Sadly, the charming Little Gracie died two days before Easter of pneumonia. Her mourning father commissioned a life-like sculpture of her, which now sits on Little Gracie’s tomb. There’s been supposed sightings of the statue walking about the cemetery grounds at night and of Little Gracie herself playing in Johnson Square. But her story has captured more hearts than those of supernatural aficionados: the wrought iron fence that surrounds her grave is always adorned with flowers, cards and toys for Gracie to enjoy in the afterlife. Moon River is a brewery, a pub and a restaurant famous for its local haunts. The brewing company has been featured in paranormal TV specials and is a well-loved stop for ghost tour guides. Staff and patrons have witnessed objects being thrown by unseen forces and felt the touch of an unseen hand. Toby, one of the famous ghosts, spends his time in the billiard room, either at the bar or pushing customers and staff. 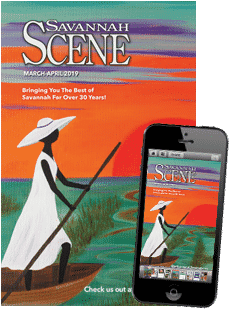 Tour-goers visiting the upstairs – where Savannah’s first hotel used to be – have spoken of feeling slight touches or downright slaps and a couple have seen a woman in period clothing. 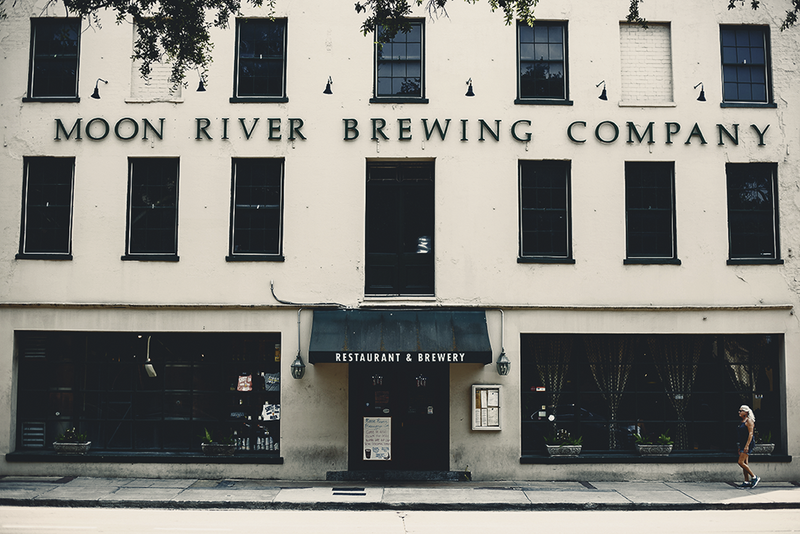 Moon River Brewing Company has been referred to as the most haunted building in the Historic District and with good reason: it’s the only place listed here that continues to deliver new stories of supernatural experiences to date.